One of the leading mobile chipset market leader Qualcomm recently announced the emergence of 805 Snapdragon SoC chipset . 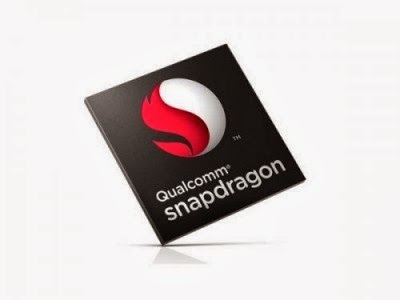 This chipset is an update of Snapdragon 800 but has many advantages over the previous generation . 805 Snapdragon chip can handle 4K UltraHD video . Inside are four Krait core 450 with a speed of 2.5 GHz . Embedded Adreno 420 GPU for video encoding and decoding performance of 4K realtime so the graph is capable of supporting heavy-weight game . Another major update is the camera image signal processor that produces better image quality plus speed antarjepretan time ( shot-to -shot ) plus the integration of the gyroscope as a supporter of the first optical image stabilization . The better side of the connection also with the support of the fourth -generation LTE Gobi platform ( 150 Mbps ) and Bluetooth 4.0 plus Wi-Fi/ac . This chipset will likely be installed on phones that use WQHD panel is ready to go next year as Galaxy S5 or Xplay 3S , in addition to tablet 4K is ready to compete in 2014. Currently Snapdragon 805 has been sent to the makers of mobile phones and tablets to be tested and is expected to go into devices that are sold in retail stores by June 2014. Is 805 Snapdragon devices will be shown at CES and MWC 2014 ?